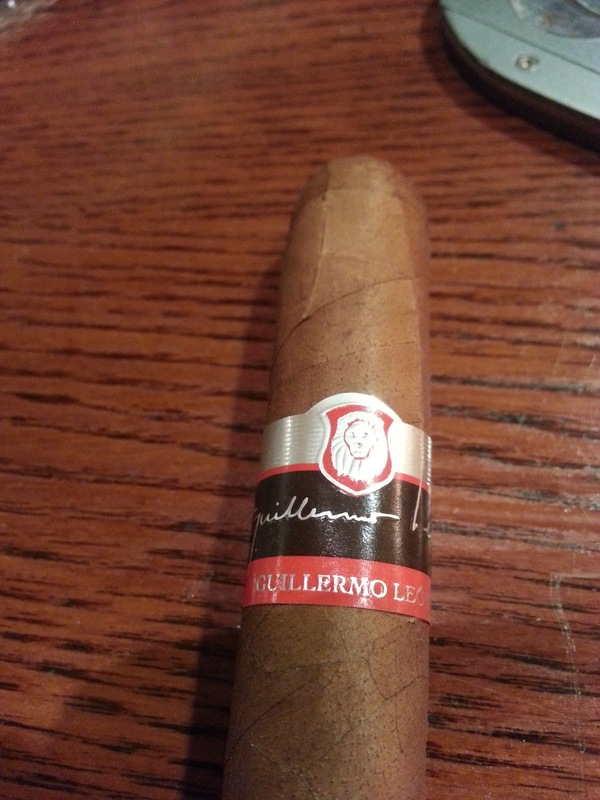 Appearance (0-20): Although the wrapper choice is not my typical (I usually prefer a rich maduro), there’s a lot to like about the Guillermo Leon Signature. It’s wrapped well and had a nice contrast between the wrapper and the band – with a good choice of colors there. The red, black, and silver of the band along with a lion’s head look elegant but not overdone. No major veins are visible, no cracks, blemishes, etc. The wrapper felt both soft and silky. Construction (0-20): Initial cut revealed quite a bit of excess tobacco, though the cut was clean. The feel of the cigar was decent, though it felt slightly loose. 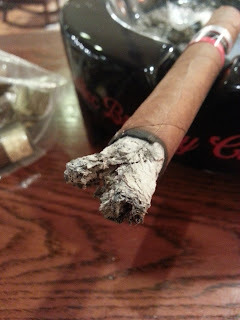 That same loose feeling traversed over to the smoking realm, as the prelit draw was also a bit too… open? 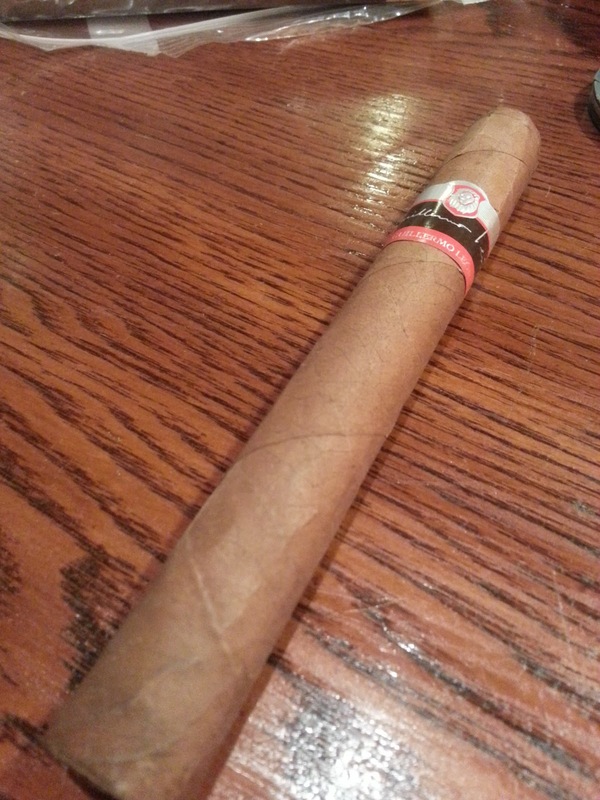 There just wasn't enough resistance through the entirety of the cigar. Okay, not a huge deal overall, just more a preference. While the burn remained straight, the ash didn't hold well and was very flaky. Strength (0-20): This is noted as being medium to full, and I think it strikes a nearly perfect balance between the two. Flavor (0-20): The initial light gave some slight pepper flavor with a mixture of earthy tones. When moving throughout I felt that the earthy tone increased and added to it some leathery undertones along with some woodsy flavor. Along the final third those flavors backed off slightly and gave way for a taste of roasted nuts, coffee, and a slight sweetness. Value (0-20): A $9.00 stick? For the flavors, spot on strength, and appearance – this is a solid buy. 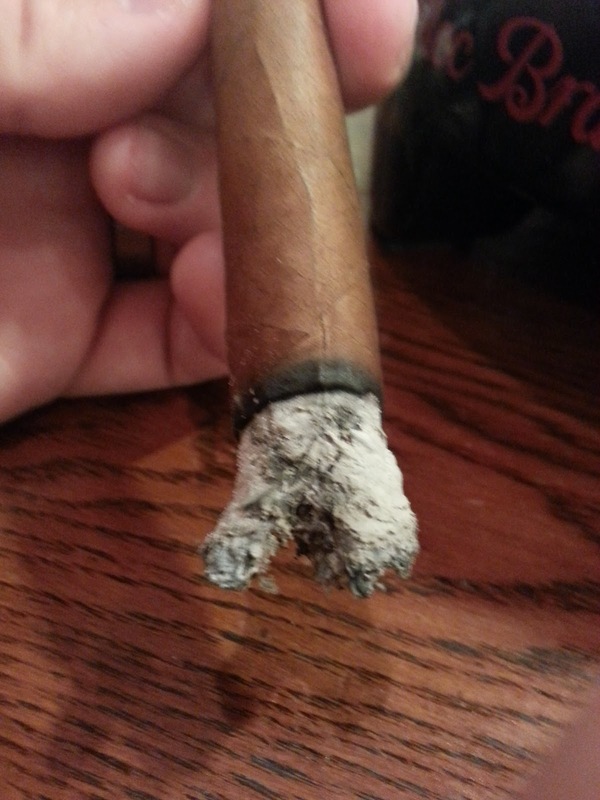 Additional Notes: Smoked at Cigars International, paired with water. Overall (0-100): I’ll be honest – this one snuck up on me. This Aurora blend is both interesting and solid and I likely wouldn't have picked it up unless it was on the recommendation of a friend. It’s got very solid and complex flavors, which is to be expected with the array of tobaccos that are used in it. There’s nice pepper with a gradual decline of it that coincides with an upswing of sweetness. The smoke is thick and luxurious. So the knock on this one? Construction. In 3 out of the 4 of these I have had, I've had some sort of construction problems. While it definitely hurts the score, this one still had the backing to be able to sneak in with a 90 overall.